I was sent the entire range which consists of the Shampoo, Conditioner, Treatment Oil (which I’ve reviewed previously and am still loving!) and the Treatment Mask, of which I’m yet to try the mask! The range was designed to provide dull, dry hair with nourishment and silkiness without weighing it down. All of the products in the range are formulated with the luxurious African Macadamia Oil that will nourish hair. I’ve been using the shampoo and conditioner for over a month now and the results are definitely noticeable. Prior to using this range, my scalp would usually get very greasy a day after washing whilst my hair will lose any shine that it did have on the day that I washed it. After the first wash using the new Pure Care Dry Oil shampoo and conditioner, I waited for the first signs of oiliness on my scalp and dullness in my hair, before I washed my hair again – it took a total of 5 days to show any signs of oiliness and dullness, yup a whole 5 days!! 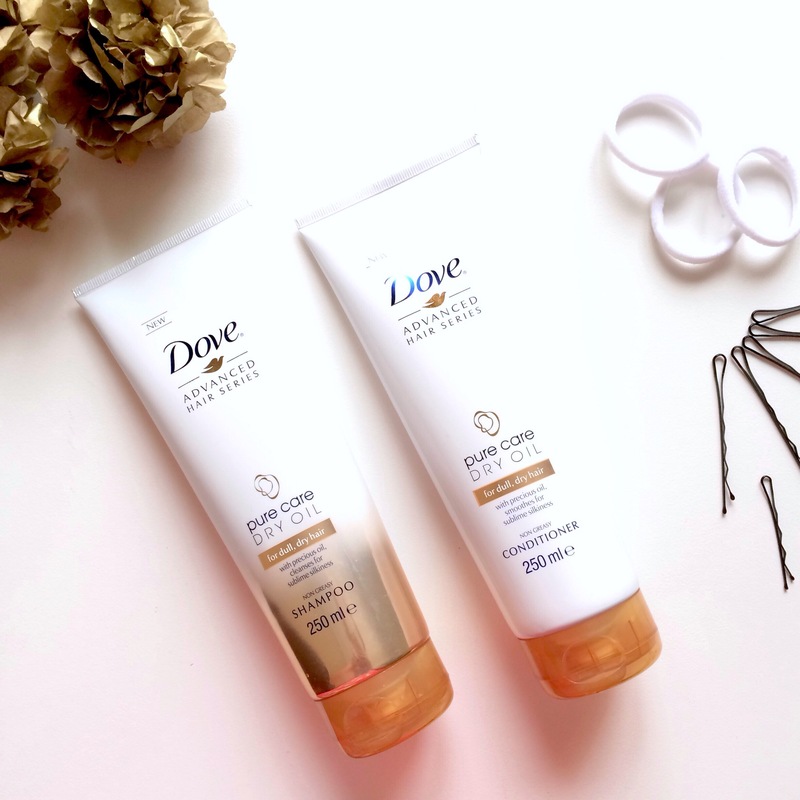 After that, I knew that even though I may test out other hair care products for the blog, this is now my go-to shampoo and conditioner as no other range has been able to give me 5 dull-and-oil-free hair days. If you’re wondering how this is possible, remember that this range is formulated with oil and considering like dissolves like, the oil from the shampoo and conditioner dissolves the natural oils produced by the scalp but still provides the hair with enough nourishment to counteract any dullness to ensure hair shines. And even though, my split ends are still visible (considering I haven’t trimmed my hair in over 2 years), they aren’t dry and ‘crunchy’ anymore, which is obvi something that I appreciate. Overall, my hair looks and feels much smoother and silkier, I don’t have an issue with oiliness anymore and my hair smells great too, thanks to the African Macadamia Nut Oi contained in the range. So, if you have an issue with an oily scalp and dry and dull hair, you may want to give this range a try. You can pick up the shampoo and conditioner for R69.99 each and the treatment oil for R179.99. Lookout for my review on the treatment mask and the new Oxygen Moisture Range, which will hit the blog soon! As you many know, most eye creams specifically instruct you not to apply to the eyelids however, Kiehl’s Creamy Eye Treatment is suitable for the eyelids. I’m not sure if it is available in SA, maybe pop into Edgars and stop at the Kiehl’s kiosk and ask them?